Our asbestos awareness course is aimed at owners, managers and employees of any businesses that might come into contact with, or have a responsibility to, manage asbestos during the course of their work. Every week 20 tradesmen die from asbestos-related disease, therefore this training is a must and is of particular interest to anyone working on buildings, particularly those built or refurbished before 2000. Participation helps organisations to demonstrate compliance with their statutory duties in addition to providing evidence towards SSIP accreditations. It is currently recommended by the Health and Safety Executive (HSE) that asbestos awareness training is repeated on an annual basis. Our courses are delivered by knowledgeable and enthusiastic consultants and trainers all of whom hold adult teaching qualifications supported by a professional qualification and considerable, hands on practical experience which is reflected in our grounded, pragmatic approach. 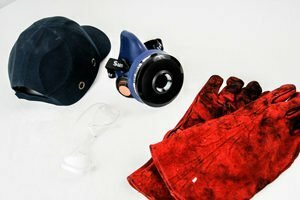 How do we approach asbestos awareness training? This course is of 3 hours (half day) duration. Our ‘asbestos awareness’ course is just one of over 60 courses we offer. Acorn Health & Safety provides training and consultancy in first aid, fire safety, food safety, manual handling, healthcare training and health and safety.